Sleepers have the godly ability to put large egos in check, especially those with V10 engines. Few things are more fun than showing up to a race in a sleeper and showing sports and supercar owners that money is never the deciding factor when it comes to winning a race. 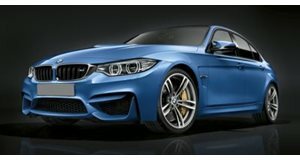 While the rest of the world claws its way up the economic ladder to one day afford a modest sports car as a piece of driveway candy, a sleeper is a message telling the world that its owner is the ultimate car enthusiast, one that’s transcended the need for the attention a supercar garners and, like Ricky Bobby, just wants to go fast. Better still is that these sorts of owners know their stuff because taking a slower car and stuffing massive amounts of horsepower under the hood while giving it some semblance of control takes time, commitment, and skill. Grit, in other words, and that’s exactly what the owner of this E30 BMW M3 is chalked full of because under the hood is a V10 engine. The current M3 gets a lot of attention with its twin-turbo V6, and don’t even begin to mention the V8 E90 M3, but many forget that the E30 M3 brought a seemingly unimpressive inline-four to the table. Thankfully this E30 has been boosted with an extra six cylinders and enough horsepower to do, well, this to a Lamborghini Huracan LP580-2. 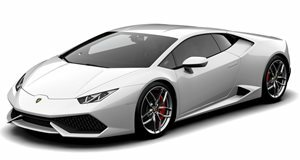 A rolling start and the badge of an Italian supercar offers no help the the poor Huracan. It’s just V10 vs V10 here and despite being the more aerodynamically gifted of the two, the Lambo walks away the loser. Better luck next time.